Yippee !!!!!! Celebration time again .Yes friends , yesterday for the first time in history I had 1000 plus page visits and I’m simply thrilled…I had bookmarked this recipe long back and was in my to do wishlist . The original recipe was of muffins, but I baked it in a bundt pan . 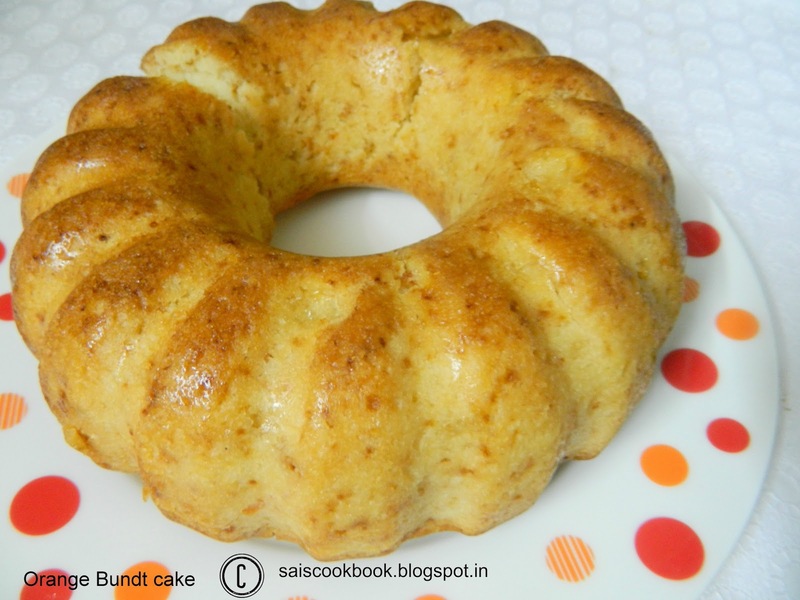 Bundt cakes are always my favourite . I like to to bake anything with less eggs and this recipe called for only 1 egg . I don’t like to bake recipes which calls for more than 2 eggs . I modified the recipe slightly .The cake came out super soft though I did not get the expected orange colour and after all the taste matters . Amma liked the cake very much . I did not glaze the cake since my daughter doesn’t like icing and topping much . Last but not the least I want to thank each and every reader from the bottom of my heart. Keep supporting me same way and I will do my best. Grease the Bundt pan and keep it aside(Make sure you grease the cervices well). Preheat the oven @ 180 C / 350 F Degrees. In a mixing bowl whisk together flour, sugar, baking powder and salt till combined. In another bowl beat together all the liquid ingredients ie., orange juice, milk, yogurt, egg and vegetable oil,beat till all the ingredients emulsifies well. Add the flour mixture to the wet mixture in 3 batches and fold with the help of spatula till the ingredients are combined. Finally add the orange zest and mix once more,do not overdo it else the cake will turn our hard. Transfer the batter into the greased pan and bake for 30 mins or till a Bamboo skewer inserted comes out clean. .For the Glaze: Mix the 3 ingredients in a small bowl and drizzle over the cake and let it set. can i bake dis cake in a micro at convection mode? coz i hd made sme orange muffins before and it turned bitter after baking.